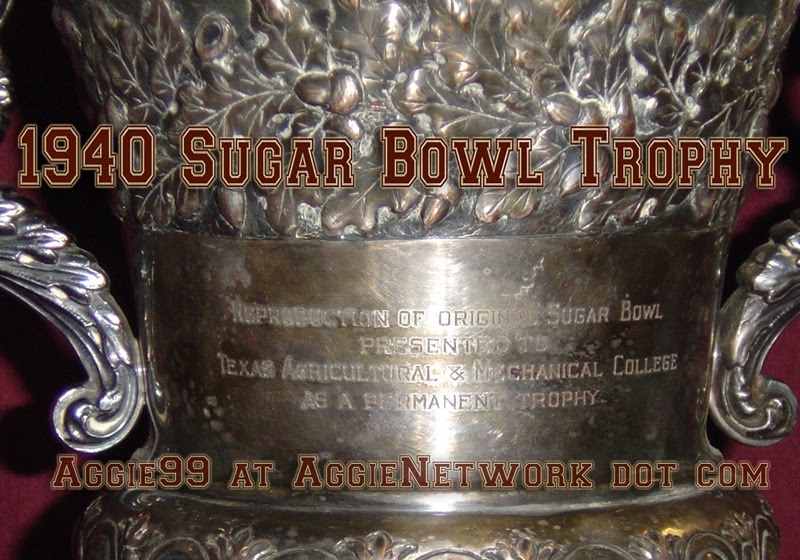 This is the Sugar Bowl trophy that the Aggies were awarded at the end of the 1939 season. The bowl game was actually played on January 1, 1940, and the No. 1 ranked Texas Aggies defeated the No. 5 ranked Tulane Greenwave by a score of 14-13. 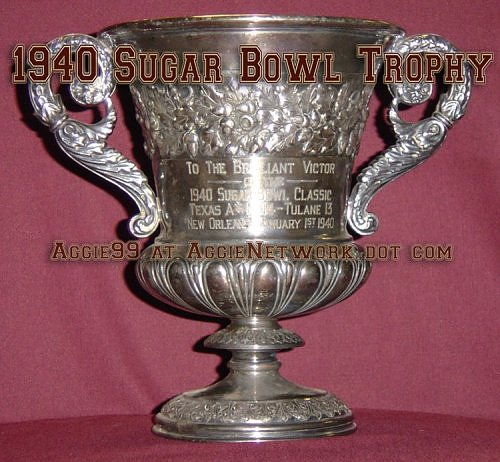 The Texas Aggies were awarded a final Number 1 ranking by the Associated Press, and were thus crowned National Champions for the 1939 season. As far as I know, this is the only trophy from that season, and it thus serves as the Aggies’ National Championship Trophy. This entry was posted in Bowl Trophy, Campusology by Travis Normand. Bookmark the permalink.